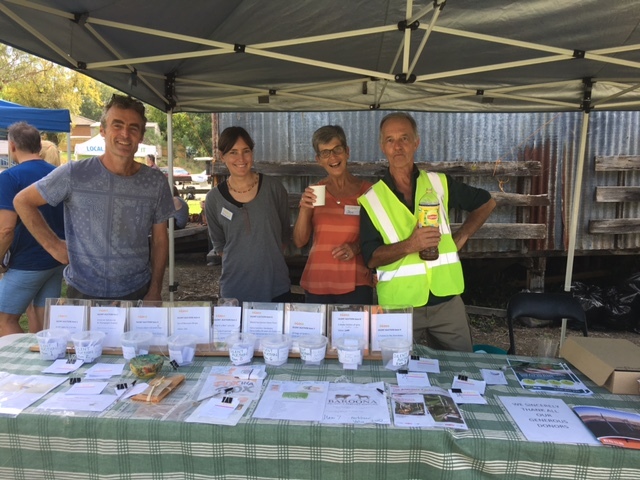 Yarra Valley ECOSS would like to thank you for your invaluable contribution towards the 2017 Ecotopia Earth Festival in Yarra Junction on Sunday March 26th!!!! Whether you came to participate of were actively involved- we thank you! 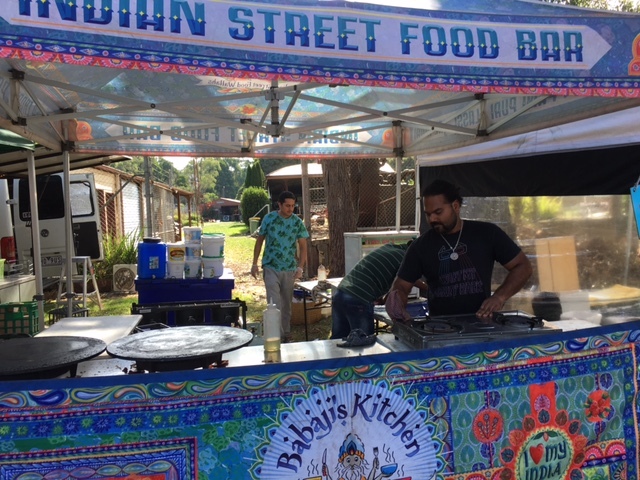 A fabulous day was had by all involved, from event organisers, and stallholders, to families and volunteers. 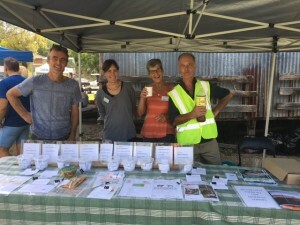 Thanks to our financial sponsors Yarra Ranges Council, Upper Yarra Community Enterprise, and Cire Services we couldn’t have done it without you! Here are some details about this year’s festival, and how you helped make it even more amazing than ever before! Approximately 3500 people attended the 2017 event, with young families and older community members in high attendance. 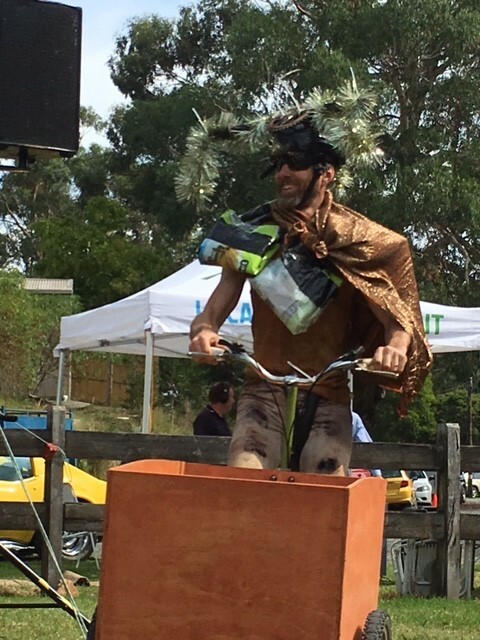 Highlights included The Recycled Fashion Parade and Exceptional live music! 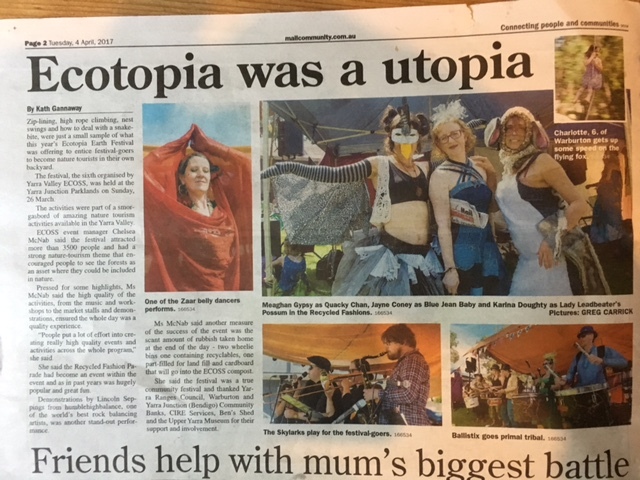 Many local businesses contributed to the event: via generous donations to our Silent Auction, our Recycled Fashion Parade, for printing services, for allowing us to advertise in their newsletters and shops, it’s almost impossible to name every business. 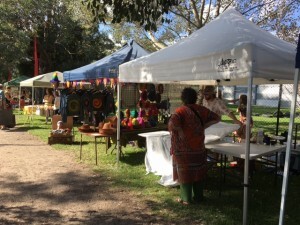 Over 89 stalls of local produce, artisans and activities were present at the event! A large increase from previous years, and speaking to the high regard this annual event is held in the local business community. 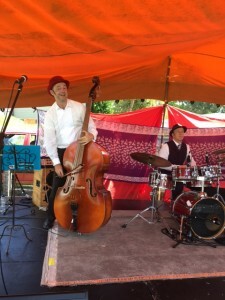 We noticed the stall quality was exceptional this year, with the establishment of this festival people are really ‘bringing their best’ to the festival. 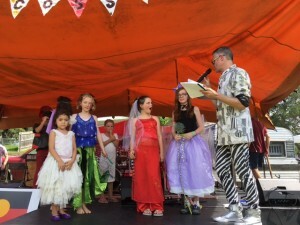 Money Raised by Silent Auction for ECOSS projects: We raised $1075 from the silent auction. 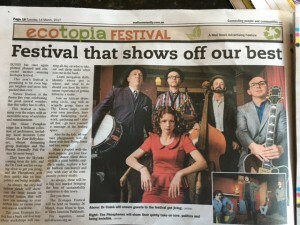 We had anticipated raising $500 and had already reinvested that into the festival costs, so we are very happy to have a small seed fund for the next festival to purchase more signage, as was the feedback that we needed better signage for the toilets and parking. 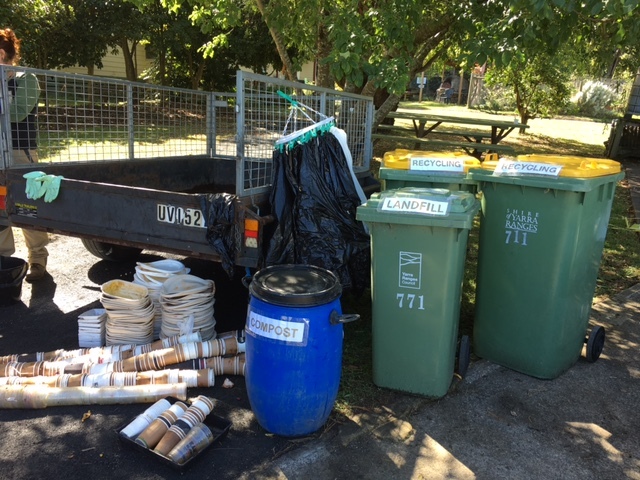 Rubbish: Every year we take our own rubbish bins and bag the rubbish and pop it in a cage trailer and bring it back to ECOSS to audit. This year we had 2 more savoury food providers, and yet the entire rubbish from the day was 2 recycling wheely bins, 1 (not entirely full) rubbish bin, 1 blue bin compost, and the cardboard we put through the mulcher at ECOSS and converted to compost. 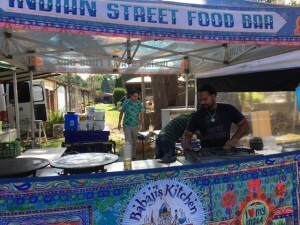 We are so proud of this effort from Food vendors, the community and US! Also by the end of the day, I left the site at 7pm, and it was completely spotless. I think this is exceptional for a festival of this size. 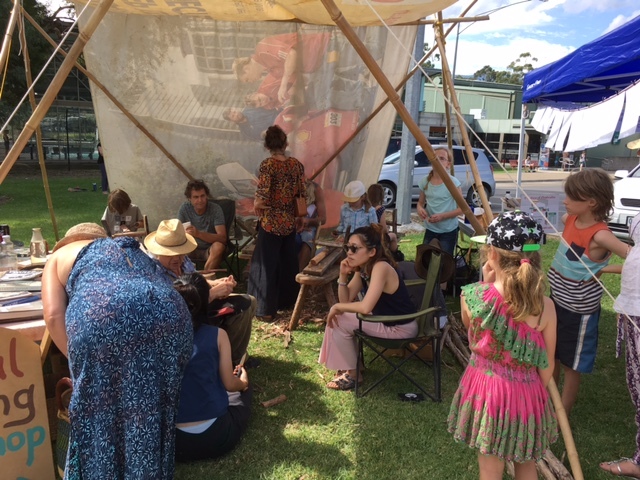 Volunteers: We had many volunteers painting signs, sewing props, collecting items before the day, and on the day we had volunteers on our info stall, our plant stall, doing bins and toilets, doing talks in the Bush Survival Tent, talks on stage and performing. We try to pay as many people as possible on the day, yet it wouldn’t be possible to deliver the event without the volunteers at all. We are so grateful for the amount of volunteers we had on the day. Particularly at pack down time. The challenge of having a festival that needs to be entirely packed down on the same day is getting it all done before it’s dark. We well and truly achieved that. Community Engagement: We feel that the community engaged very well in the festival. 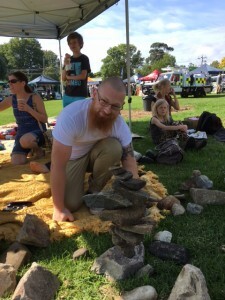 We believe the theme was relevant to the community ‘Nature Tourism’ and current with the local politics. 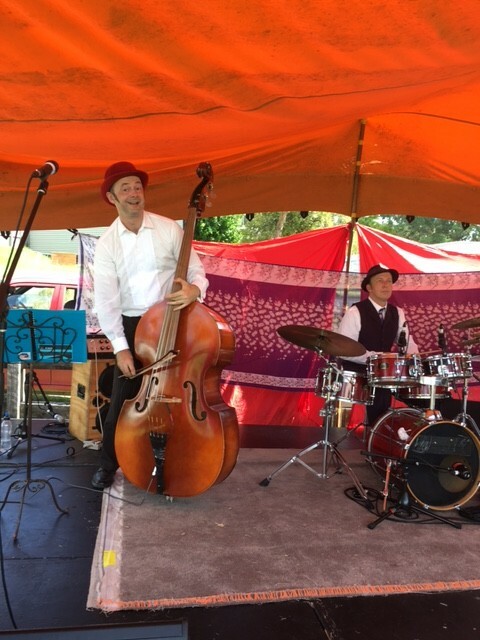 There were so many areas to engage whether it was listening to the music on the stage, participating in the fashion parade, listening to the talks in the Bush Survival Tent, making macramé, watching the rock balancing, playing with clay, going on the flying fox or swing, dancing in the silent disco, patting the horse, checking out the earth friendly stalls, drumming on stage 2, live painting on the community canvas, busking, or playing with circus toys. We feel there was something for everyone. 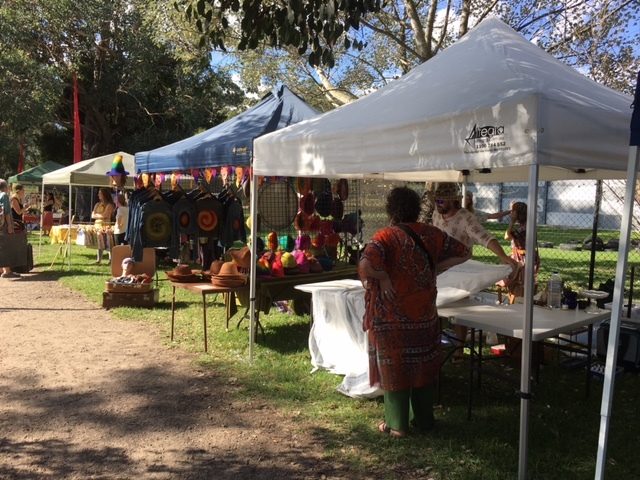 We also felt having the SES, CFA and DELWP present opened up the festival to the community services are as well. 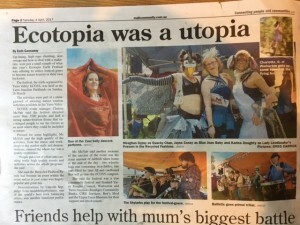 We feel that the community have really embraced Ecotopia as their local, annual festival. 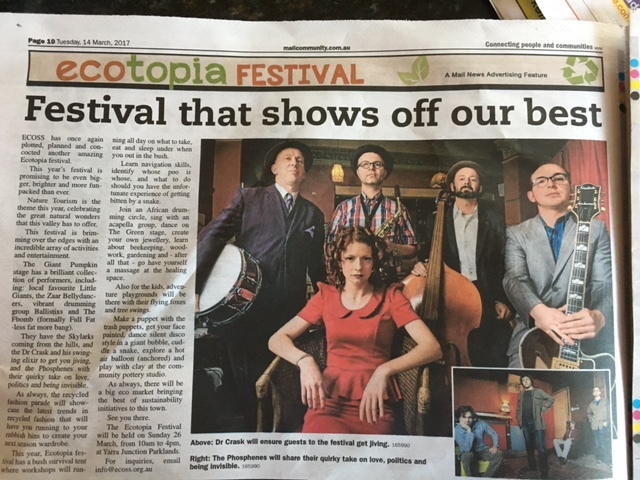 Local media coverage: We were lucky enough to have a great Media release in the Mountain Views and the Leader Newspapers before the event. Yarra Valley Radio 3 VYV interviewed us several times in the lead up to the festival, and schools put it in their newsletters. UYCE also had us on their community noticeboard, and many locals shared our event on Facebook. We felt extremely lucky to have the new TV show Yarra Valley Live TV come and film live to air at our festival, and this will go on to channel 31 at some stage soon. 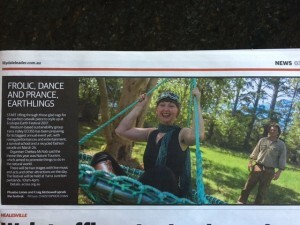 We feel very supported by our local media. 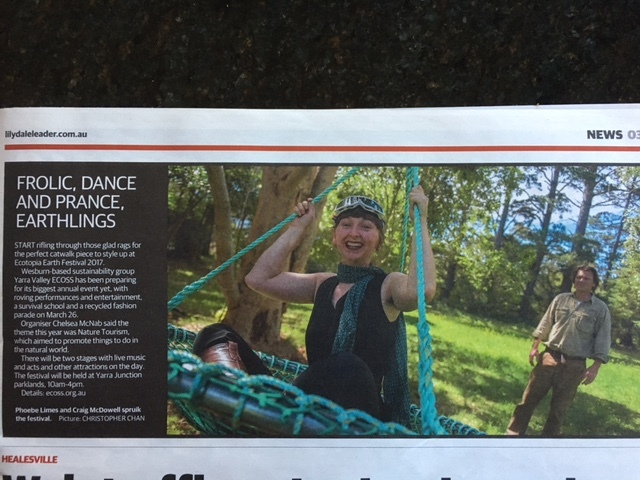 The Connies, Ballystix, Vokallista, and in the theme of Nature Tourism there was a flying fox by Adventure Developments. Endangered species making with the Yarra Valley Community Pottery Studio, the Bush Survival School- learn how to treat a snake bite, what to take hiking with you and more, kayaks on display, maps of where you can camp and hike in the beautiful Yarra Ranges, 2 stages with exceptional artists performing including Zaar Belly Dance, The Phosphines, Little Giants, Kofi and Santha Drumming, Ballistix Drummers, Dr Crask and his Swinging Elixir, The Skylarks, The F Bomb and much more! 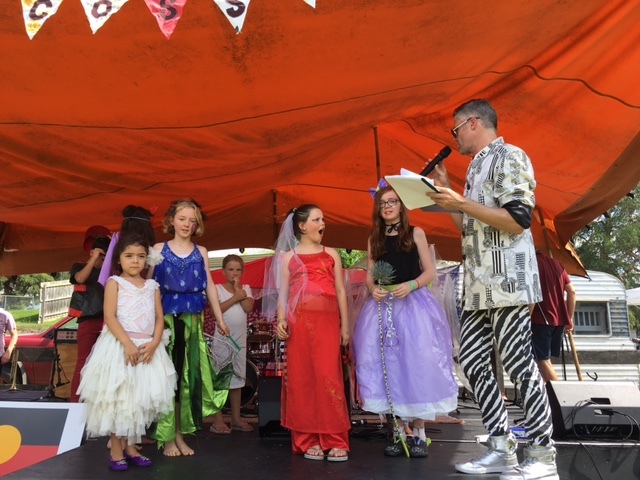 The hilarious Recycled Fashion Parade, with German Fashionista host Hans Allover was exceptional as usual and lots of amazing prizes were won!